We are the leading Manufacturers, Supplier, and Exporter of Plain Handle Knife in Gujarat, India. We use the finest grade of raw materials and pioneering techniques for manufacturing our Plain Handle Knife. We offer these knives in various sizes and dimensions, as per the requirements of the client. These are crafted by our skilled professionals, with a high level of exactness. 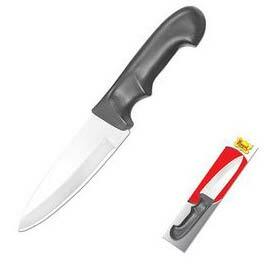 We make sure that these knives are firmly packed to avoid any damage due to mishandling.